I'm having troubles downloading the Stack Overflow data dump. I've tried both the torrent and .zip download here. 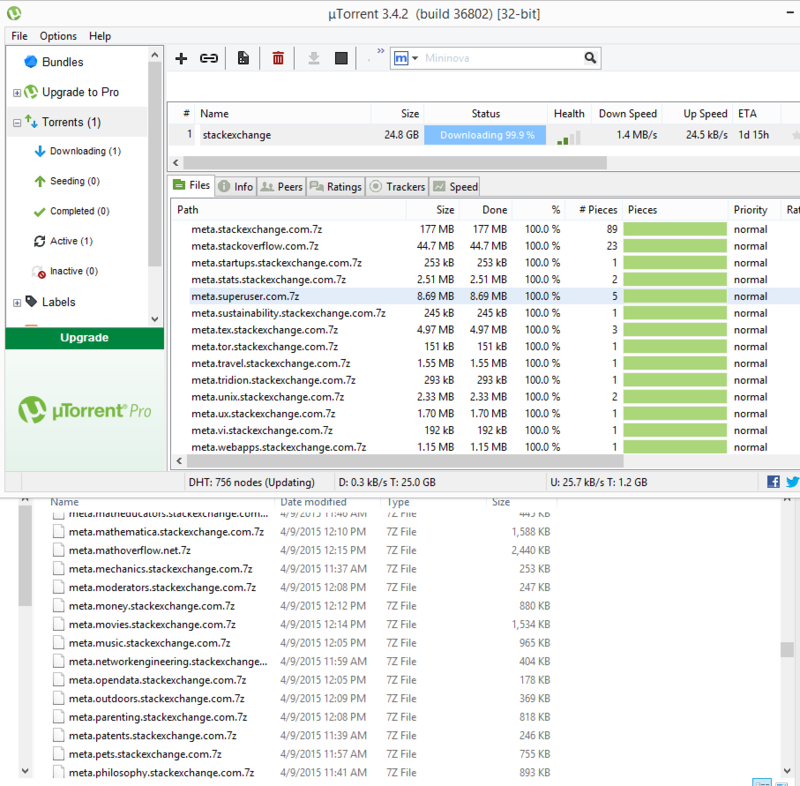 The torrent goes up to 7%, the incoming data does not verify correctly, and it keeps redownloading the same chunks over and over again. As for the direct download, it just stops after a couple of megabytes and the download is corrupt. The comments at the bottom of the page seems to indicate that others are having problems downloading the files as well. Any ideas? Any alternative download locations? I was just able to download the torrent from archive.org just fine. If you were having an issue please try again. We didn't receive a response from support but they may have fixed the glitch. I'm at 99.9% done with the download but all of the files are there. Download the files for individual sites. I'll check with our developers to see if we can make the next dump happen sooner rather than later. Where to find my user data dump? What is the meaning of Views attribute in the file Users.xml in the Stack Overflow data dump? Developer Jobs Data Archive Availability? Where do I find the history Stack Exchange data dump on archive?